Calling all bookworms! Tom here and welcome to this month’s 3D scan challenge! The theme this time round is books. Old books, new books, thick books, thin books, books from childhood, books from adulthood, fancy books, important books … any book that means something to you. Scan a closed book or get creative with your posing, include bookmarks or scan a whole pile of books – it’s up to you! Remember to share your progress, techniques, scan related trials and tribulations as well as final models on the forum. Just like last month’s challenge, the idea is to create a combined scene with everybody’s entries once the challenge is over so please make sure your uploads are set to “Downloadable” and help us fill up a virtual library, one bookshelf at a time. Update: the winners are in! Check them out on the forum. Bookshelf image: Vienna – Baroque Bookshelves by Jorge Royan, Creative Commons. You can use any 3D scanning method you wish but if you’re new to this kind of thing we are recommending you download a free trial of Autodesk’s ReMake for Mac or PC. The Free version allows you to upload 50 pictures and all processing is done in the cloud so you don’t need a beefy computer to join in. 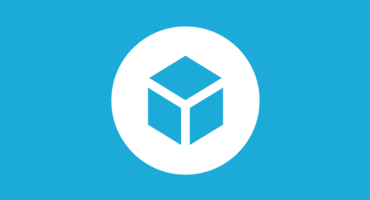 Once you’ve created your 3D model, upload it to Sketchfab, tag it #3DScanBooks and set it to Downloadable. Share what you’re planning to scan on the challenge thread in the forum, so that we can get a diverse collection of books. Models must be set to Downloadable to take part in the challenge – partly so we can combine the top entries in our bookshelf scene but also because we are encouraging you to create a legacy of free and open 3D content that can be used by artists, game devs and hobbyists. Submission deadline is Monday, March 6 (23:59 New York time – EST). You can win a Neewer Light Tent (value $40) to help you get even better results from your photogrammetry projects! Winners outside the US will receive an equivalent product. And of course we’re adding 3 Months of Sketchfab PRO ($30 value) as well! Contestants models must be uploaded to Sketchfab and tagged #3DScanBooks to be considered. The winners will be contacted by Friday, March 10th.